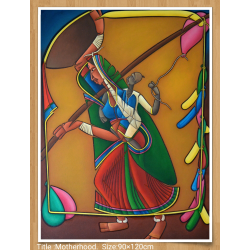 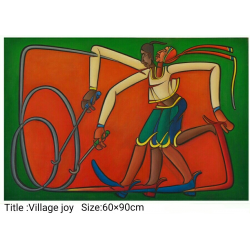 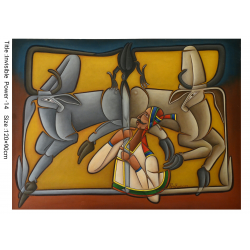 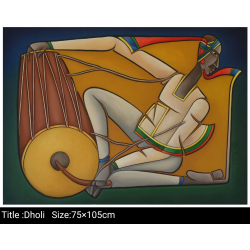 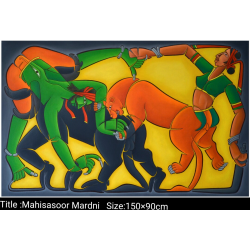 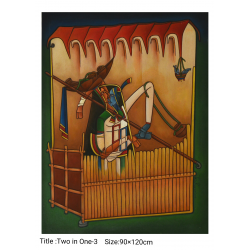 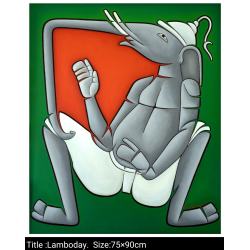 Self-generated expressions and freshness of colours can be seen in Pasabhai Makwana's paintings. 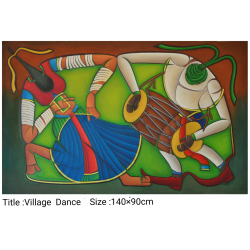 A form of architectural art is incorporated in his paintings with great effect. 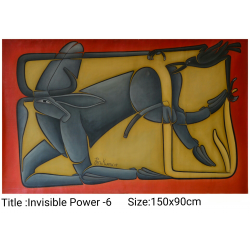 The modification and prolonging body parts of the subjects in his paintings are a visual treat.